Your search for the best full suspension mountain bike will surely not be an easy feat. There are many options available in the market, and this can only make things more difficult for you. At the end of the day, however, you should not be overwhelmed and you should be responsible enough to differentiate the possibilities. What makes a full suspension bike different? 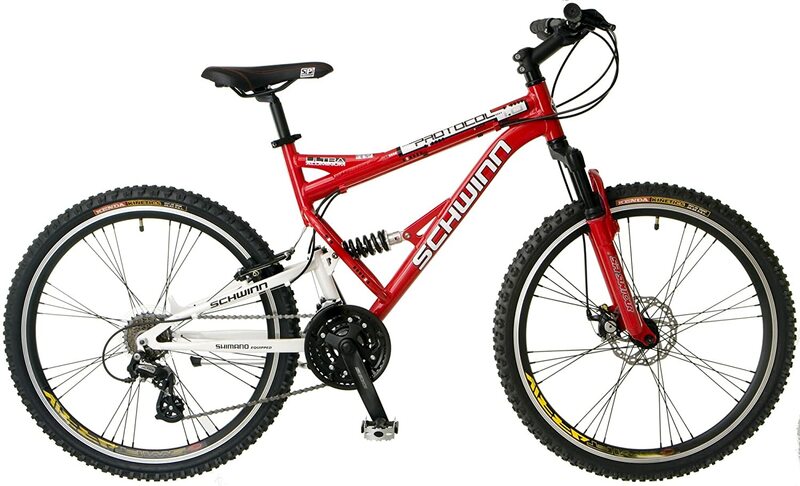 Generally speaking, it would be the construction of the frame, which makes it distinct from hard tail bikes. They offer better handling, enhanced comfort, and faster speed, among others. In the rest of this post, we will help you to make the right choice. We will provide you with insights on some of the most important things that should be taken into account. To increase the likelihood of making a decision that won’t bring regrets in the future, consider he factors that will be briefly discussed below. Short-Travel Bikes: This is the type of bike that should be chosen if you are into cross-country riding. This is the lightest from the full suspension bikes, making it perfect for those who do not want to exert too much effort. 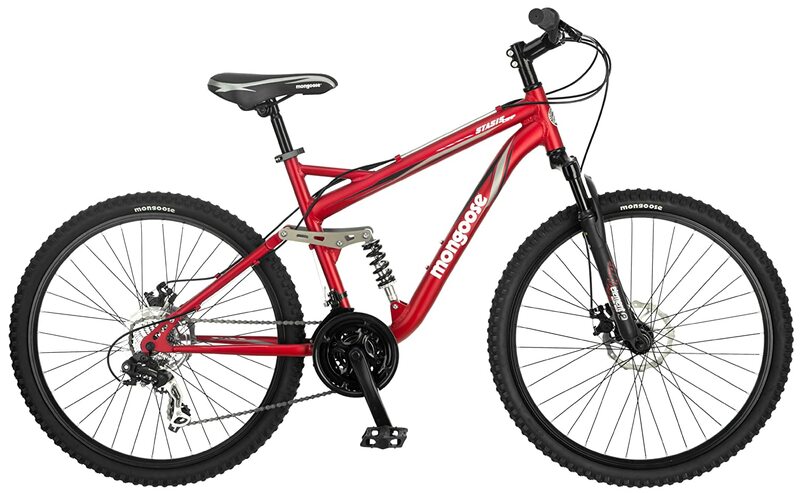 They can also be excellent for uphill biking, which is primarily because of their weight. 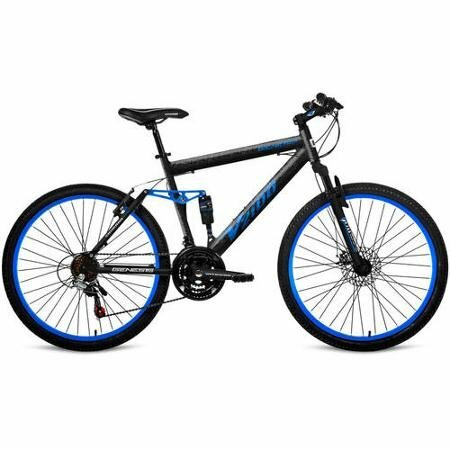 Medium-Travel Bikes: On the other hand, this is the ideal choice if you are looking for a full suspension mountain bike that can be used for al﻿﻿﻿l-mountain riding. The rear and front shocks are normally equipped with travel adjustments. It also takes pride of having a more stable geometry compared to the previous type. Long-Travel-Bikes: For freeride or downhill riding, this can be the best pick. They commonly have travel that ranges from 7 to 12 inches. They have wide tires and components that can demonstrate exceptional strength. They can be expensive, but you will surely be able to get your money’s worth, given the performance that it will be able to deliver. 26-inch Wheels: This is the oldest size of wheel that can be found in mountain bikes. If you have an old bike at home, this is most probably the size of its wheel. Today, however, it is rare. They can be less forgiving, especially when it comes to bumpy surfaces. With this, such wheel size is not recommended for full suspension mountain bikes. 27.5-inch Wheels: Compared to their smaller counterpart, this is known for being able to provide a higher top speed and being more forgiving. It also improves the efficiency of the bike since lesser suspension is needed. Its traction is also better than the previous. 29-inch Wheels: If you want the best wheels for your full suspension mountain bike, this is most probably the best choice for you. It has the fastest top end speed and is also the most forgiving. It is also perfect for taller riders, but those who are smaller can most probably have a problem in riding this bike. Quality of other components, including the suspension fork, handlebars, pedals, and even the seat. Still have no idea on which brand or model can prove to be the best choice? In this section, we will identify five of the best models. We will also identify their most notable features, as well as some of their pros and cons. Brand name in itself is already more than enough to convince you that this is an excellent choice. Beyond such, it has a wide array of premium features. For instance, it comes with high profile rims and superior wheels, which are lightweight and strong. The aluminum frame is also worth highlighting. The latter is the reason why it is lightweight and fast. In the same way, the material choice is also excellent because it can resist rusting and corrosion, providing you with the confidence that it will last long. The gearing mechanism is one more feature that gives it a distinct advantage above others. It comes with 24-speed drivetrain, which also makes it versatile. This will provide you with the complete control on its speed depending on biking conditions. The suspension fork also delivers exceptional quality. It has the ability to absorb shock in an effective manner. The Suntour Suspension Fork can be effective in being able to dampen vibration, which is excellent in promoting your highest level of comfort. This model is abundant with commendable features and one that will be worth noting would be the mechanical disc brake, which is for both the front and the rear. This means that it is going to deliver exceptional stopping power. This can provide you with the confidence of your safety. It comes with an adjustable saddle. This is a good thing since this means that you will be able to have it customized based on the height that is preferred. This will provide you with the guarantee of your highest level of comfort. It is also worth noting that it comes with an aluminum suspension frame. This is believed to be an exceptional material of choice as it is not only lightweight, but also commendable when it comes to durability. Lastly, it has 21-speed Shimano rear derailleur. This will provide versatility, allowing you to use in in various conditions. It is complemented with SRAM Twist Shifters, which will make it effortless for you to change from one gear to another. One of the most amazing things about this bike is its frame, which is made from heat-treated aluminum. The main benefit of the latter is that it is extremely lightweight. This makes it the perfect choice for uphill climbing, providing you with the assurance that speed will never be compromised. It is also a good thing that it is equipped with front and rear disc brakes. This will provide you with the confidence of your safety. The good thing about the brake is that they are easy to grip, and most importantly, they have incredible stopping power. The 26-inch dual aluminum wall rim is also a nice feature. 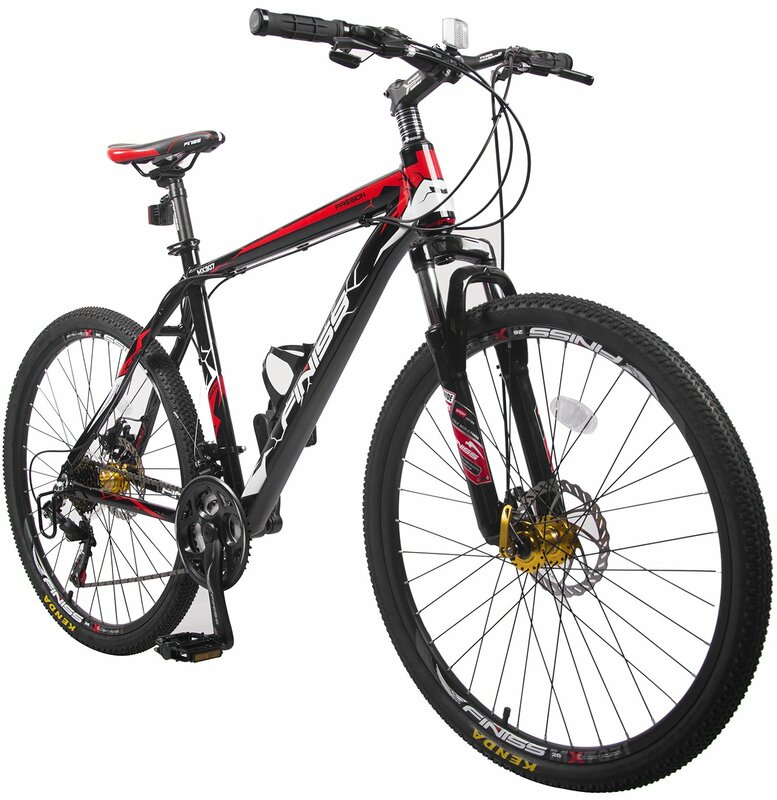 This provides the bike with excellent wheels, which can last for an extended period of time. It will effortlessly roll in different surfaces. Lastly, it has 21-speed Shimano derailleur. It is undeniable that the quality is impressive. This makes it possible for you to easily shift from one gear to another. This also means that you can use it in different conditions. This bike comes with an aluminum full suspension. The main benefit of the latter is that it can deliver excellent speed, which is basically because of its lightweight construction. Also, since it is aluminum, there is no need to be worried about rusting and corrosion. It is also equipped with 21-speed Shimano derailleur. This is another reason why it has been given words of praises by many others. More so, it is even made better by the fact that it also comes with SRAM twist shifters, which will allow you to change gears in a manner that is almost effortless on your end. It also comes with lightweight alloy rims. With this, agility is sure to be one of its main benefits. It is also one of the reasons why it is lightweight, aside of course from the material that is used in its frame. 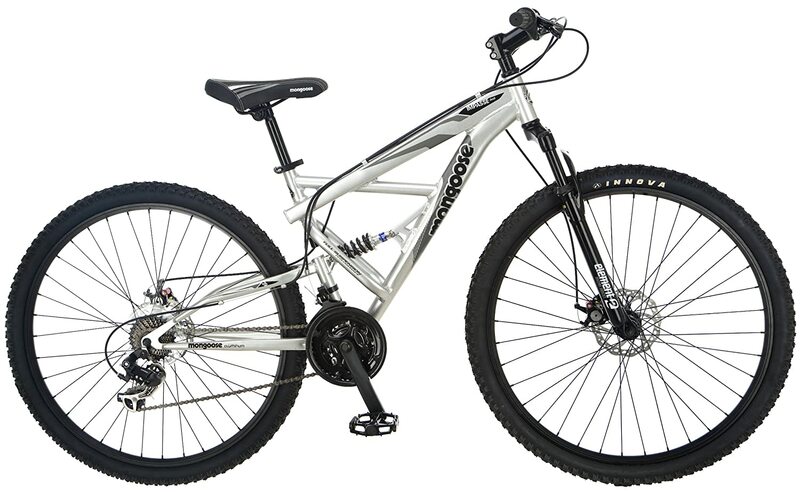 This is a full suspension bike, which explains why comfort is one thing that you will surely love. This is also because of the overall design of the bike and the materials that are used. The 80mm suspension fork, for instance, is built to lessen vibration, making sure that you feel comfortable all the time. It is equipped with 26-inch wheel. This is smaller than the newer models of full suspension mountain bikes that are available in the market, but it is still impressive. With the size of the wheel, it will be good if its use will be limited amongst smaller users. The 21-speed drivetrain is another feature that makes it a good choice. This will provide you with several sped choices, allowing you to use the bike in various riding conditions. Whether it is uphill or downhill, you can be confident that it will be able to deliver an excellent performance. The best full suspension mountain bike can prove to be generally more expensive than hard tail bikes, but they can actually be better in many ways. This is the perfect choice for serious riders who are unwilling to compromise the performance of their bike. Nonetheless, while it can indeed be beneficial, this will be highly dependent on the product that will be chosen. With this, go back to the reviews that we have discussed above, as well as the factors to consider. By keeping these things in mind, making a well-informed decision will surely be an easier task for you.